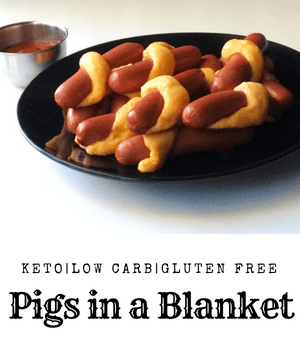 Keto pigs in a blanket are a great kid-friendly keto recipe. When my kids were young my husband worked a 12-hour shift every Saturday, so I would make all the kid-friendly foods on that day for dinner. 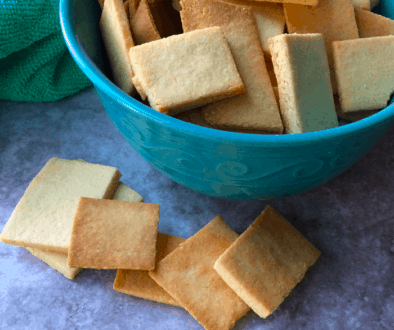 The non-keto version of these were their favorites. We used to have pigs in a blanket, snuggle up, and watch kid movies. Ahhh, memories. Even though my kids are older now they still love these comfort foods. 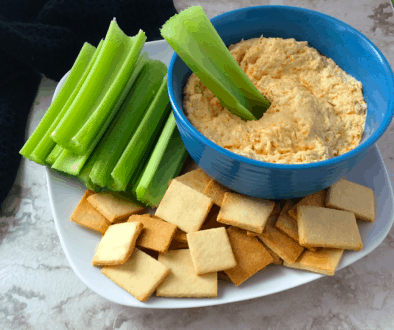 So, when we went keto I had to make a version of this all-time favorite. It is like a big hot dog hug. If hot dogs had arms I guess. Hehe. This can also be made with veggie hot dogs for vegetarians. My son and husband are vegetarians and they love this with their veggie hot dogs. Pair it with a vegetable and some no sugar added ketchup. Yum. I am getting hungry. I use nitrate free, uncured, no filler hot dogs. This recipe carb count is based on hot dogs that are 1 carb per hot dog. Please adjust the carb amount if your hot dogs are higher than that. I hope your family loves these and make the kind of memories that my kids and I have of those snugly Saturdays. Put cream cheese and cheddar cheese in a microwave-safe bowl. Microwave for 30 second bursts. Stir after every 30 seconds until the cheddar and cream cheese are well incorporated and pull away from the walls of the bowl and incorporates well. Add almond flour to cheese mixture and mix in. Whisk egg and put into the bowl with cheese mixture. Stir well until dough forms. 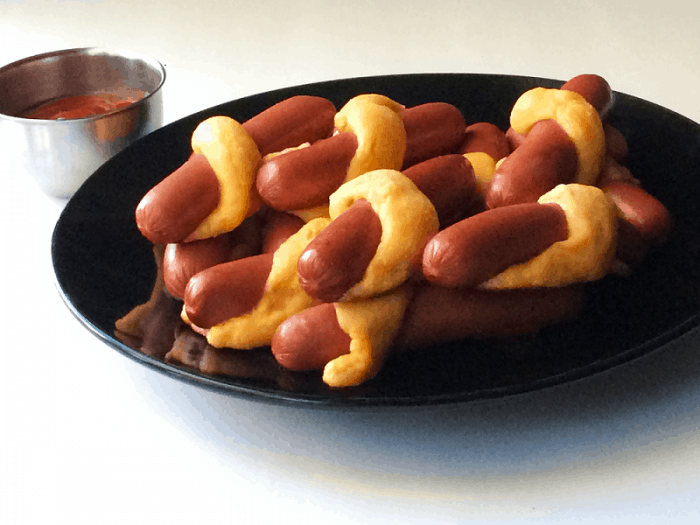 Put dough on hot dogs by getting a small ball of dough and rolling it between your hands to form a snakelike shape. Then, wrap around the hot dog in a spiral starting from one end and ending at the other. Put hot dog on the parchment paper lined cookie sheet. Repeat until all hot dogs have dough spiraled around them. Make sure you leave a little bit of space between each hot dog because the dough will spread a bit. Cook for 7-8 minutes or until golden brown on the bottom of the dough. Serve with mustard or no sugar added ketchup and enjoy. The nutrition is based on hot dogs that are 1 carb each before adding anything to them. If yours are higher please adjust the carb count to accommodate.